By Melissa Lennig on December 12, 2015 1 Comment. This content contains affiliate links. As an Amazon Associate I earn from qualifying purchases. 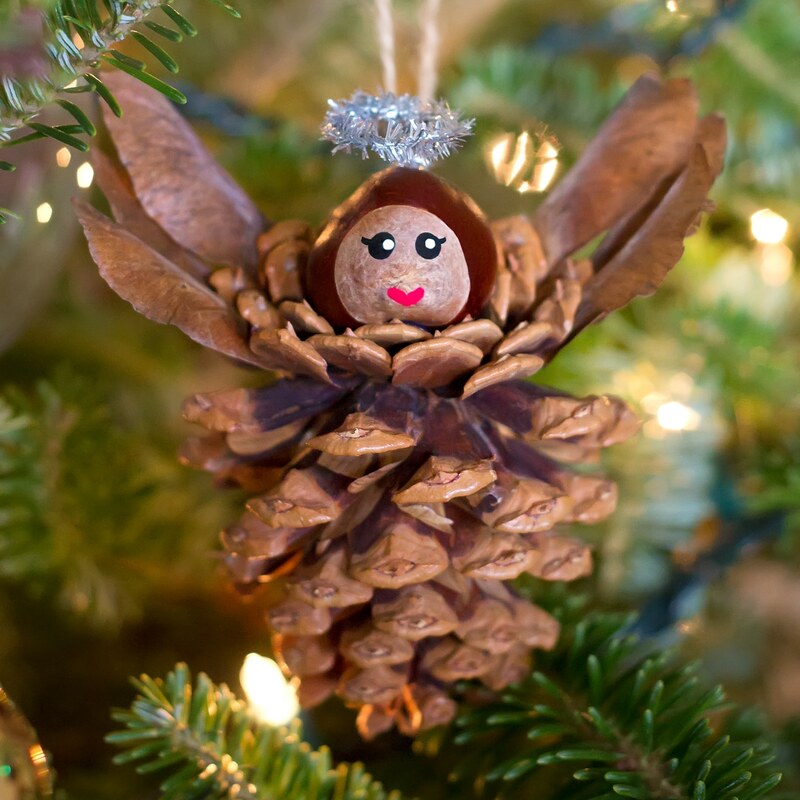 Pine Cone Angel Ornaments are a charming Christmas nature craft for kids. 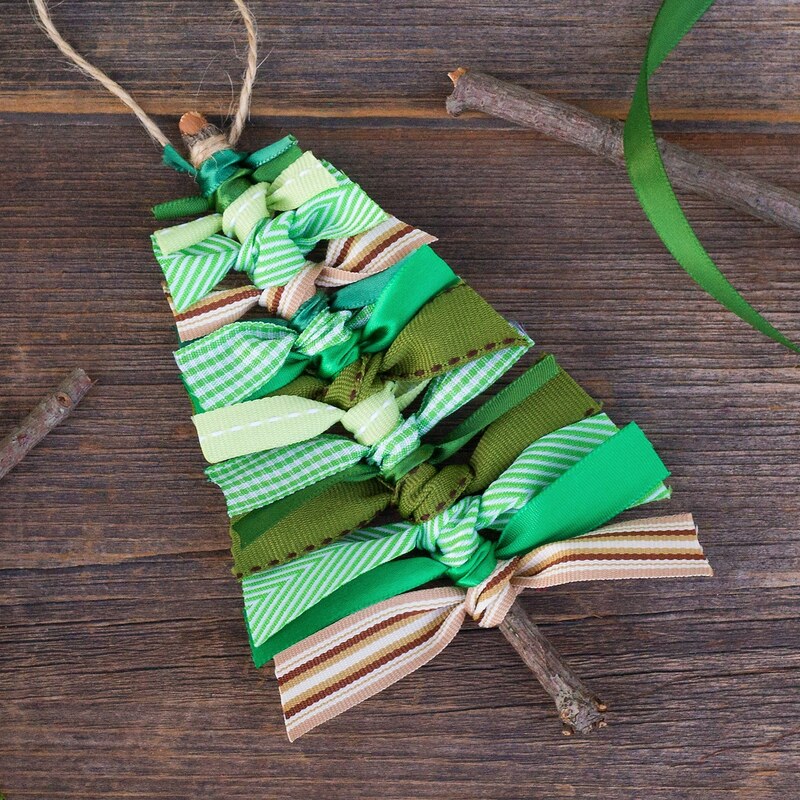 This ornament is simple, sweet, and fun for crafters of all ages. Best of all, it requires minimal supplies, most of which are found on the forest floor. Here we are, mid-December, and no snow! Usually this time of year, it’s difficult to find pine cones, acorns, seeds, and other materials necessary for nature crafting. Not this year! So get outside (you may not even need a coat) and bring along a pail for collecting pine cones, maple seeds, acorns, and buckeye nuts. Those are the materials we used to create darling Pine Cone Angels for our Christmas tree! After gathering supplies outside, use the hot glue gun to attach a buckeye nut or acorn to a pine cone. 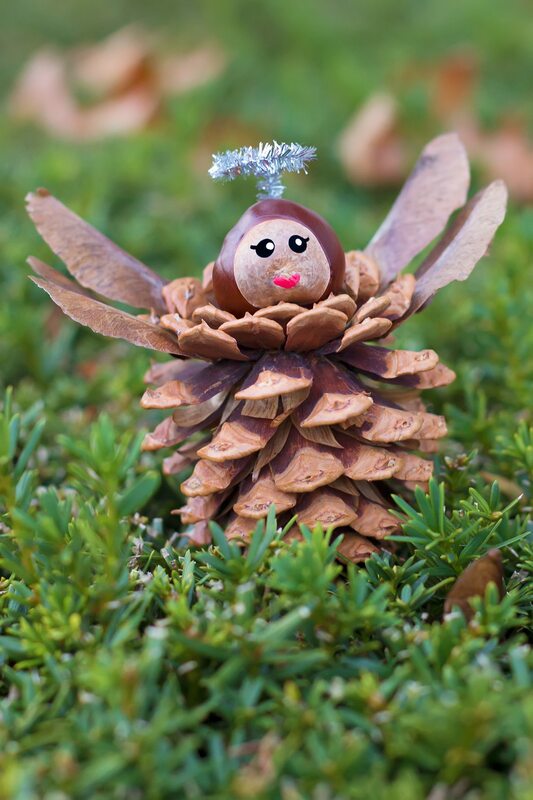 Secure 2 maple seeds to each side of the pine cone, fanning them upward to create wings. Paint a sweet face onto the Buckeye or acorn using a toothpick or a very fine paintbrush. Last, bend a small piece of silver pipe cleaner to make the shape of a halo. Attach it to the back of the angel’s head with hot glue. 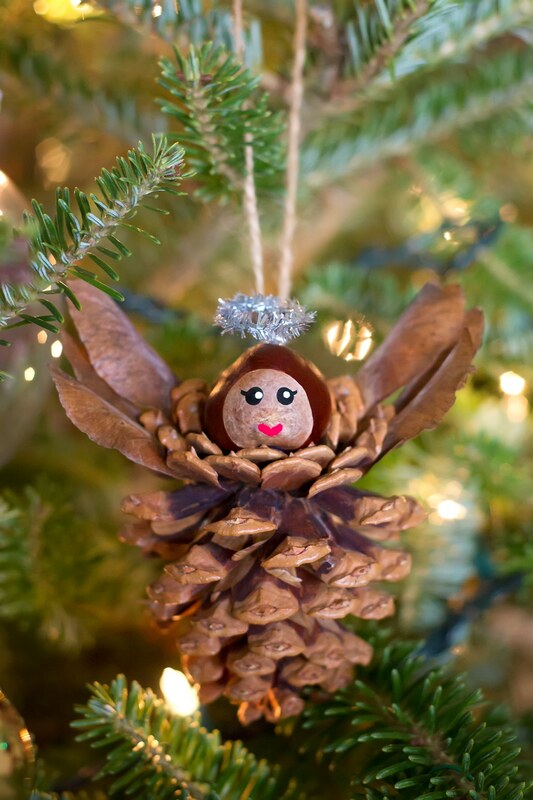 Your Pine Cone Angel Ornament is complete! 1. 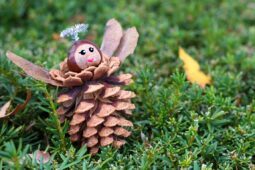 After gathering supplies outside, use the hot glue gun to attach a buckeye nut or acorn to a pine cone. Secure 2 maple seeds to each side of the pine cone, fanning them upward to create wings. 2. Paint a sweet face onto the Buckeye or acorn using a toothpick or a very fine paintbrush. 3. Last, bend a small piece of silver pipe cleaner to make the shape of a halo. Attach it to the back of the angel’s head with hot glue. Isn’t she pretty? And quite fragile too, so use care while hanging. The maple seed wings are delicate! 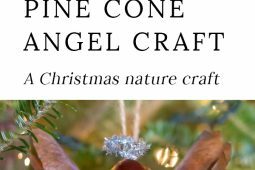 Click the images below to view more lovely nature craft ornaments for kids. Hi Such a cute simple craft for kids.I walked my 1 yr old grand daughter thru her treed neighbourhood in the Fall,and there were plenty of what’s needed ,except I’d never heard the term “buckeye nut”. Here in Canada they are called Chestnuts,.From the Chestnut tree . I’m pretty sure it’s the same nut from the picture,as ours have a lighter round side.Theyre not edible. 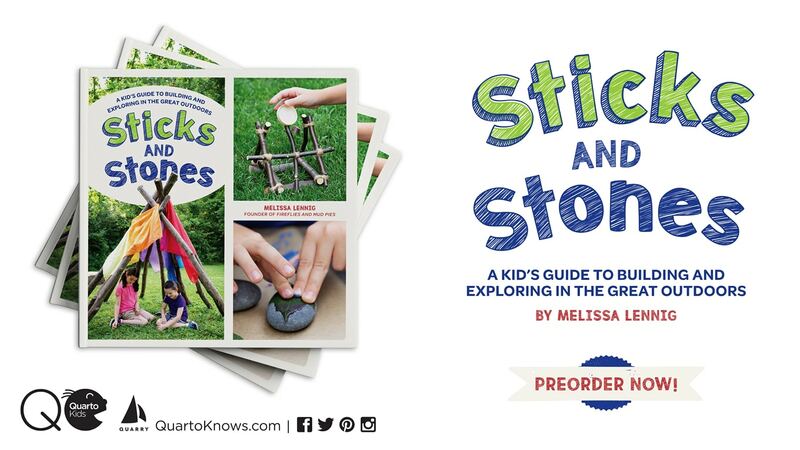 Love your ideas Thank- you for taking time to post them.